Eight MA Architecture students from the University of East London came to Blackhorse Workshop to gain practical and hands-on experience in construction. 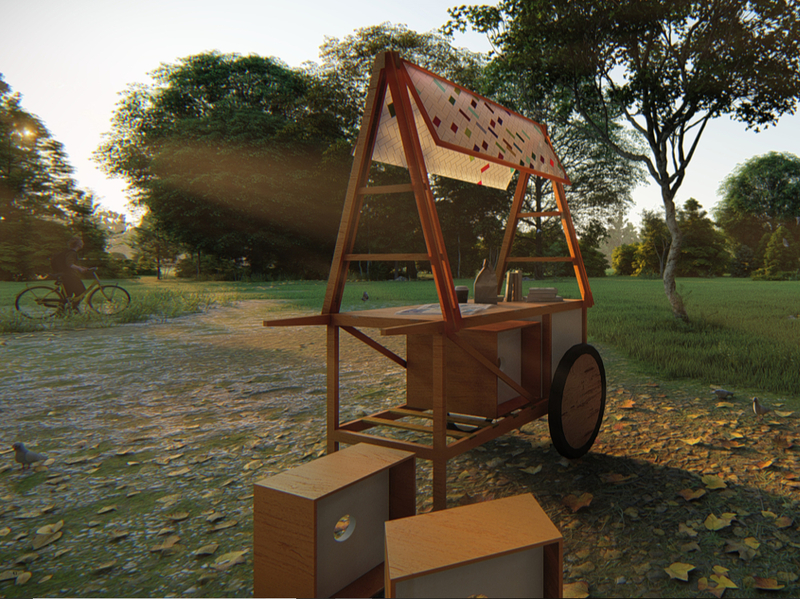 Responding to a live brief from Matter Architecture, the group were asked to design and create a portable kiosk for Waltham Forest Council to be displayed at Walthamstow Market, providing information to the public about council improvements to the street. Working with plywood, they measured out and prepared the various components such as storage compartments, lightweight seating, a tabletop and handles. They then finished the final piece in a bright mustard yellow colour, to ensure the kiosk would be visible and inviting to passers-by. It was fantastic to see the students progress and deliver such a unique project. Look out for the finished design from February 2019 at Walthamstow Market.